1. 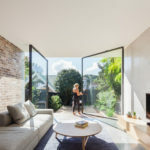 Between two floor-to-ceiling windows, the large bright red double door stands out among the exterior of this home. 2. 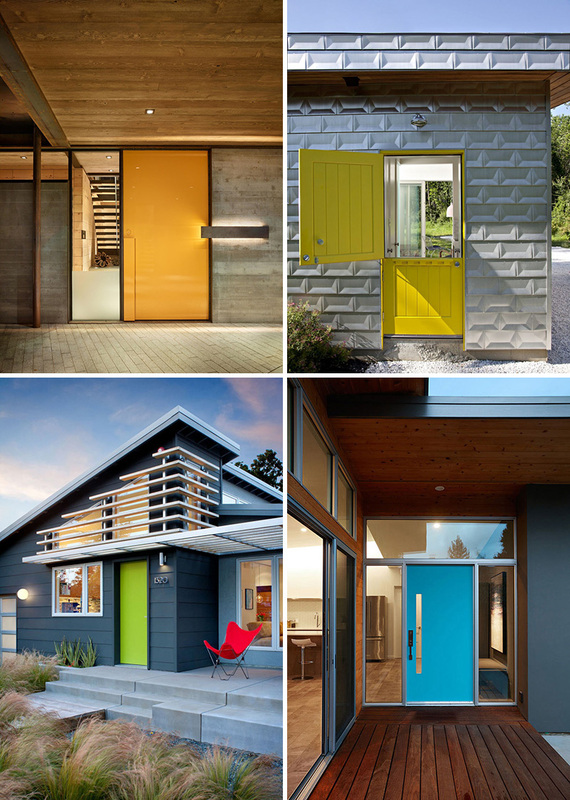 The bold, lime green front door of this house is very noticeable among the sharp geometric lines of the home. Ana Williamson Architect (AWA) designed this modern house in California. 3. 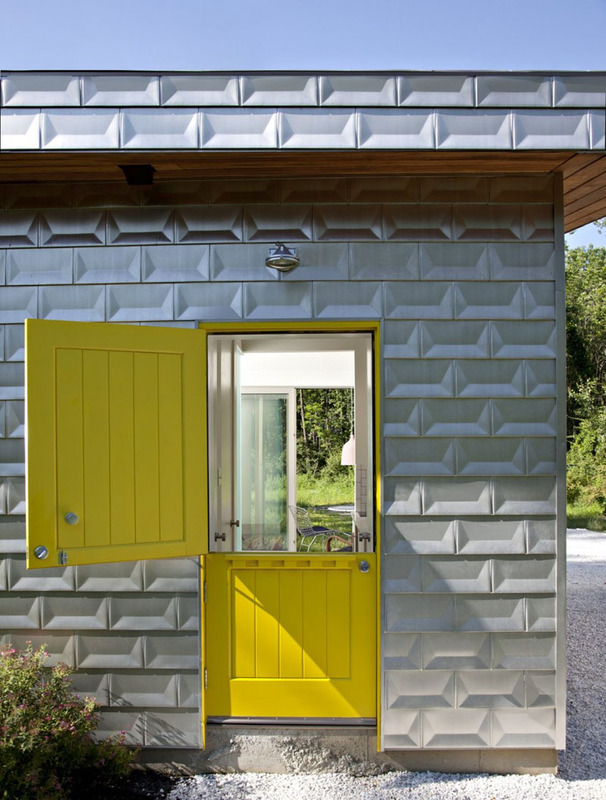 The cottage-style yellow front door that can be opened two ways, bounces color off the brick-like, matte aluminium exterior of this modern house. 4. 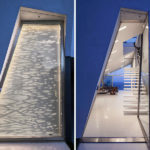 The electric blue door of this house is framed by glass windows, making the entrance of this modern home look larger. 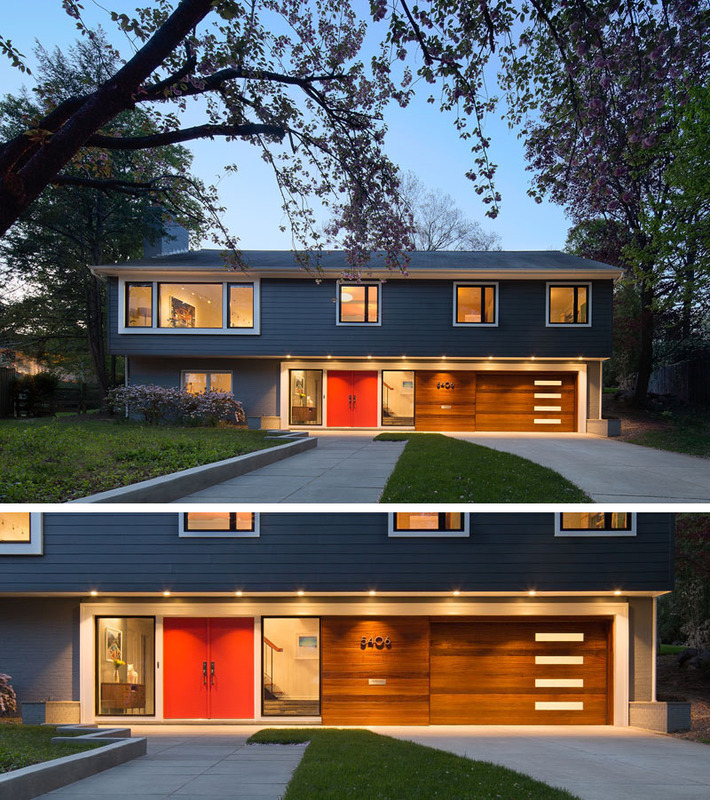 Klopf Architecture remodelled this mid-century modern home in San Carlos, California. Photography ©2016 Mariko Reed. 5. 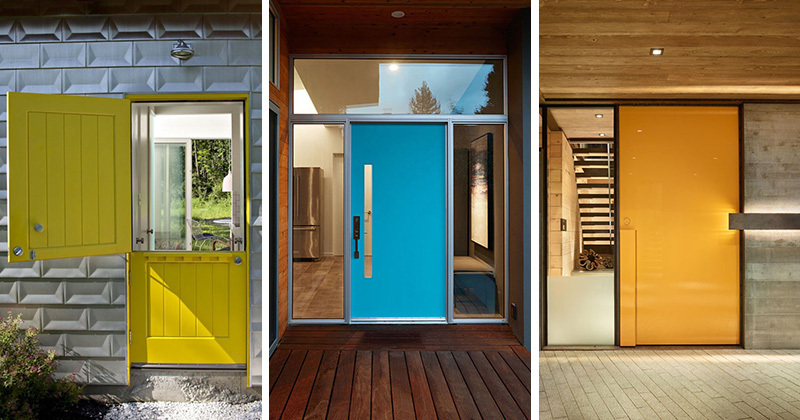 The vibrant yellow door of this industrious home is placed beside a window, giving a glimpse of the interior of the house. 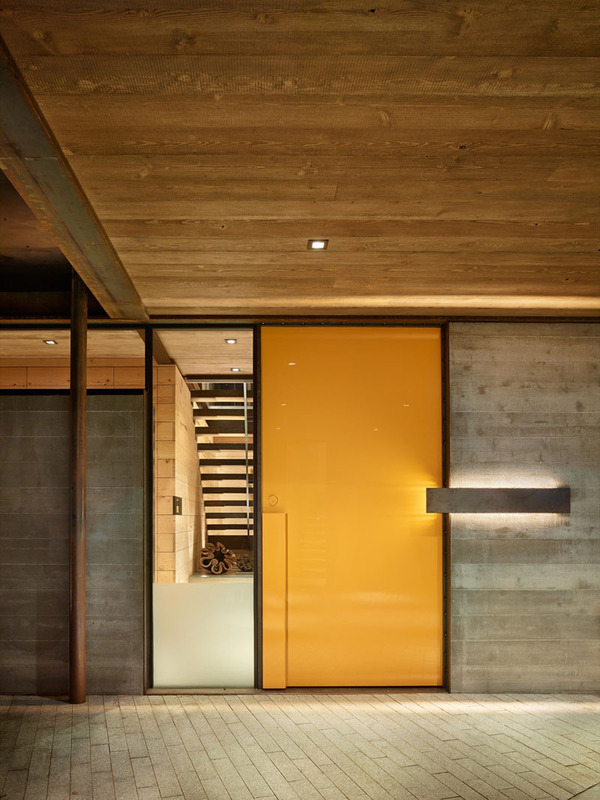 Olson Kundig designed this modern mountain house that’s filled with industrial materials. Photography by Benjamin Benschneider. 6. This house has two entrances that standout, one red gate leading onto the courtyard, and a red front door that leads into the home. DU Architects designed this modern house in Los Angeles. Photography by Brandon Arant. 7. 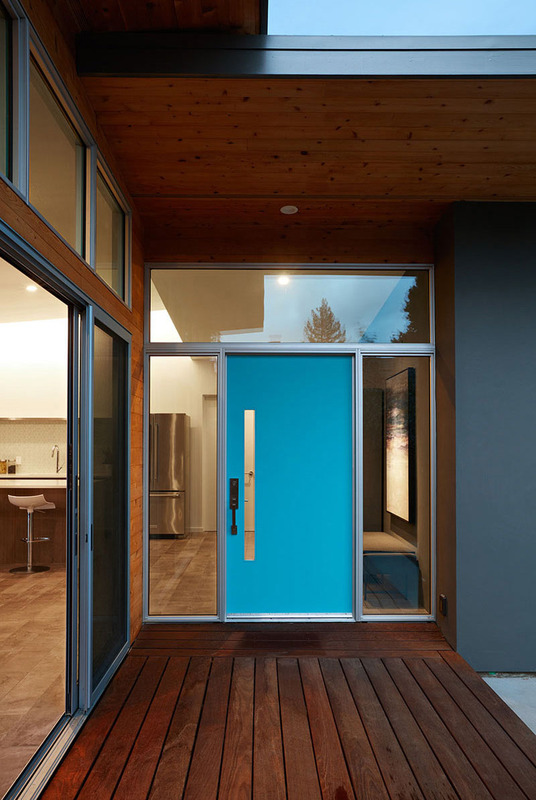 Surrounded by light wood cladding and large windows revealing the interior of the house, the front door provides a nice blue addition to the exterior of this home. 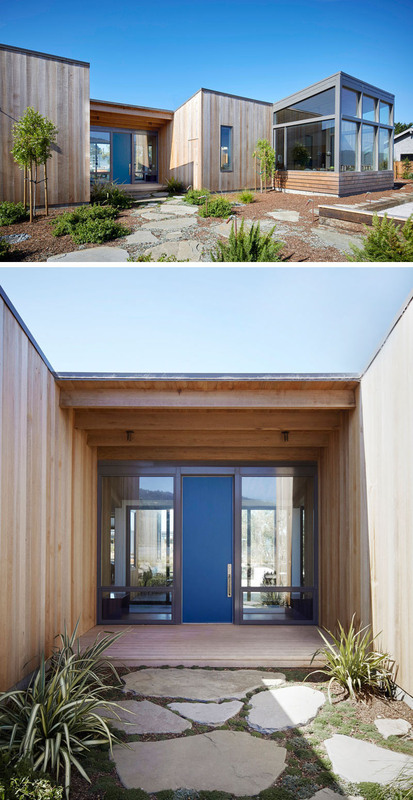 Turnbull Griffin Haesloop Architects designed this wood-clad single storey house in California. Photography by Shaun Sullivan Photography.